You get what you desire and at a cheaper price tag? This makes a win-win situation for you, woman! So what are you guys still waiting for? 30th April is almost here, are you ready yet? Excited much? Oh, so you say you can’t visit Big Bazaar Public Holiday Sale on the 30th of April? No worries! The pure souls at Big Bazaar have decided that more angels like you should grace their public holiday sale, thereby extending the sale from 30th April to 4th May! So do you have a Big Bazaar in tour vicinity? 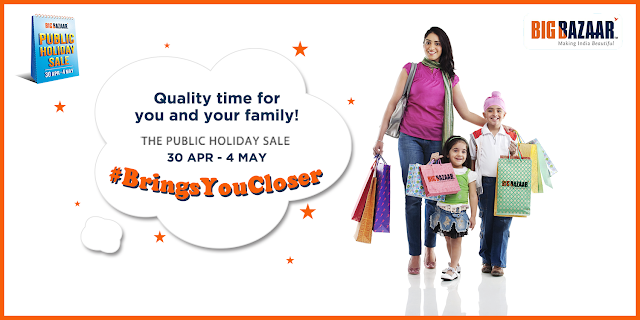 Because even if you don't, go visit the place so that it #BringsYouCloser to the best sales.